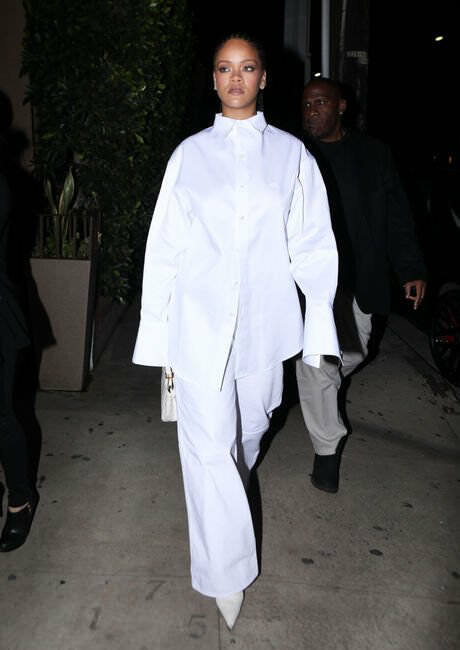 Rihanna wore all white for a night out at her favorite restaurant. The Barbadian singer was spotted at Giorgio Baldi on March 14 in a button shirt, wide leg pants and boots. Here’s some info on what she wore. Rih looked fab in a long-sleeved button front shirt from Balenciaga‘s Spring/Summer 2019 collection. The shirt has elongated sleeves and slightly longer cuffs and embroidered in white on the front is the brand’s double B logo. Her shoes are also by Balenciaga. 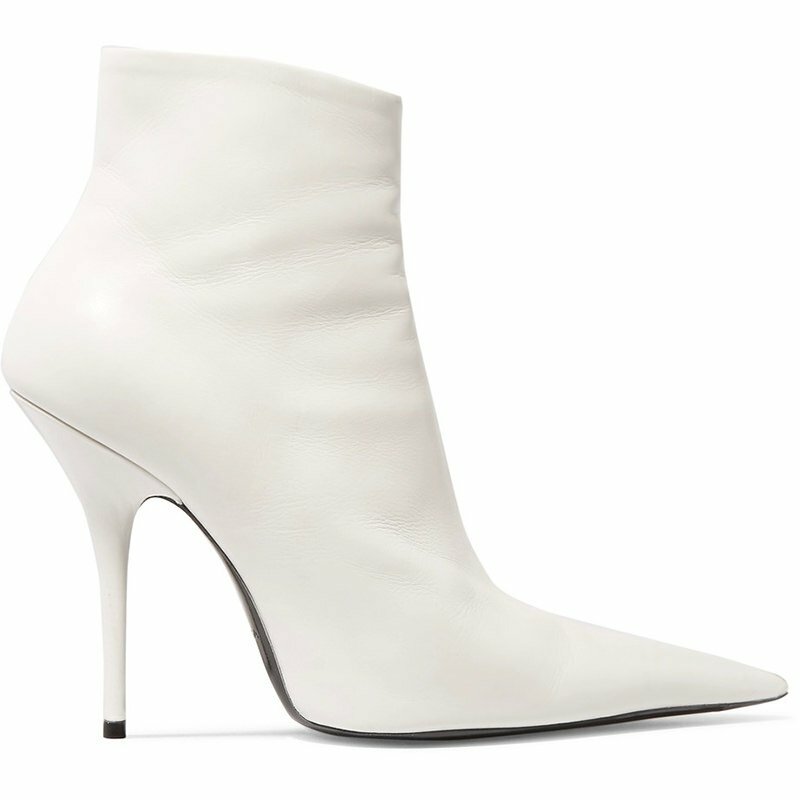 The sold-out ankle boots have a pointed toe, a side zip and a slim heel. One of the mogul’s favourite handbags is this Peekaboo Mini by Fendi. 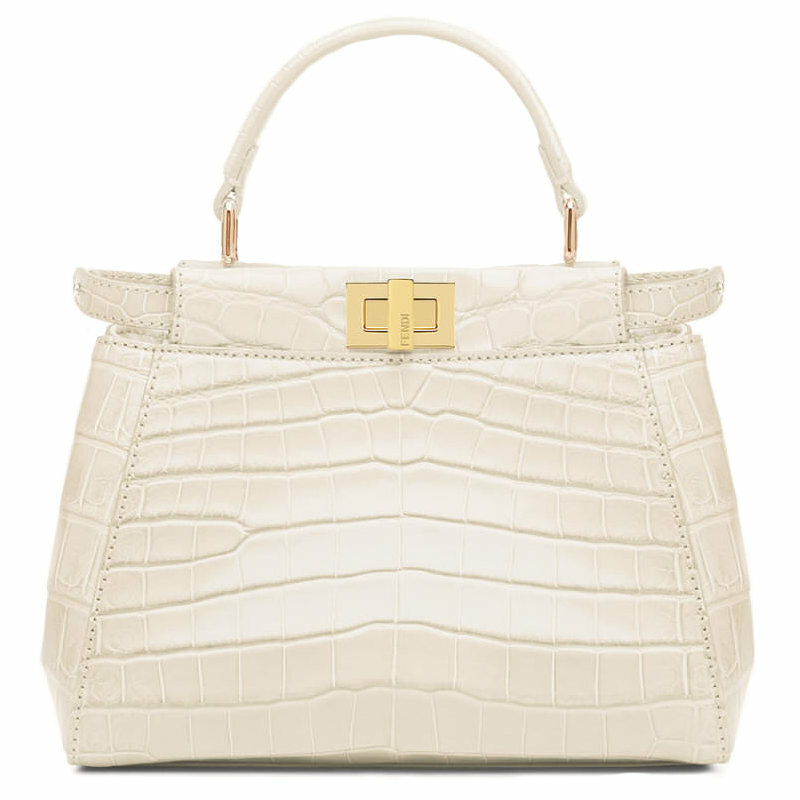 Made of white croc leather, the small bag boasts two compartments, gold hardware and a twist-lock closure. It comes with a detachable shoulder strap. Rihanna also wore a gold and diamond ring designed by Lynn Ban. The custom piece features the letters “RF” for Robyn Fenty.